How can we use publicly available data to understand what makes a city neighborhood safe? To answer this question, Shane Jensen and Dylan Small, Professors in Wharton’s Statistics Department, are using their skills in big data to reveal patterns of crime and safety in the city. 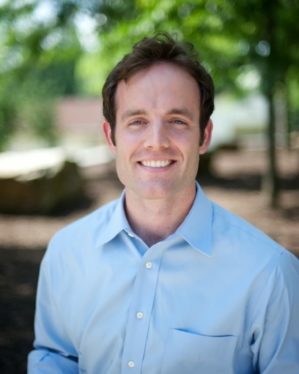 Jonathan Wood, a WSII fellow and MBA/MD student, assisted the professors in their urban analytics research. Below, he shares four lessons for city safety based on their preliminary research. What drew me to business school was the hope that the emerging field of data analytics—a core strength of Wharton’s—could be applied in the grassroots work of community development. Could an MBA unlock insights and resources struggling communities could use to walk themselves into prosperity and peace? No coursework directly addressed these questions, but through the Wharton Social Impact Initiative, I discovered the work of Professor Shane Jensen, who was spotlighting and tackling exactly these questions with the academic rigor you would expect from a statistician. I jumped at the chance to work with him through a Social Impact Fellowship and learn about the nascent field of urban analytics. For practitioners of urban design and planning, the recent revolution in big data collection and analysis is offering a fresh look at historical perspectives. What do cutting-edge statistical tools have to say about the effects of economics, demographics, land use, and business vibrancy on crime? Can new sources of data give new empirical insight into the great debates of urban planning, which have shaped cities for the past half century? But how might practitioners evaluate Jacobs’ qualitative design principles using quantitative methods and city-wide data? The Penn/Stantec team explored empirical measures of “vibrancy” within each neighborhood in Philadelphia, such as vacancy rates, commercial vs. residential zoning, the number and types of businesses, and hours of operation for those businesses. In their analyses, neighborhoods were defined based on the block group designation of the US Census Bureau. Even modest poverty alleviation in the poorest neighborhoods may reduce violent crimes. While it may seem intuitive that violent crime decreases as a neighborhood’s median income rises, the researchers observed that the relationship is nonlinear. As incomes rise across a city, the most dramatic reductions in violent crime happen for neighborhoods with median income under $50,000. This finding has implications for urban policy and community development strategies: if cities want the most bang for their buck in crime reduction, they should strive to increase incomes in the poorest neighborhoods first. The relationship between income and non-violent crime does not appear to be as strong or non-linear, perhaps because non-violent crimes tend to be more acts of opportunity that occur away from the most impoverished areas. Crime happens near businesses–but there is less crime where businesses are open longer. A comparative analysis of high-crime vs. low-crime areas within the same neighborhood found higher concentrations of businesses in the high-crime areas, suggesting that crimes tend to occur around commercial activity. But a closer examination revealed a more subtle finding: in the low-crime locations, businesses tended to be open for longer-than-average hours. Although the association is relatively weak, this finding could also lend support to Jacobs’ natural surveillance hypothesis. Planners might consider following up this finding by experimenting with extended hours of local businesses in an effort to mitigate the draw of crime. High-vacancy neighborhoods appear to have higher crime, but crime does not happen near vacancies. Another interesting and subtle discovery was that high-vacancy neighborhoods had higher crime frequencies overall but, looking within a high-vacancy neighborhood, the crimes did not tend to occur near to those vacant properties. Rather, crimes occurred near the more populated features within desolate neighborhoods. This finding may help explain the relatively small impacts of Philadelphia’s “greening” initiatives, which transforms vacant lots into green infrastructure through landscape maintenance or urban gardening: additional green space may still encourage vibrancy, but too much uninhabited space near to those greened area may reduce their beneficial effects. Particular business types are not clearly predictive of crime. While it might seem plausible that a block dense with liquor stores would incur more crime than one packed with churches, the evidence is inconclusive. When exploring the effects of various business types (e.g. retail stores, gyms, cafes, lodging, liquor stores, and community institutions) on neighborhood crime rates, researchers noticed mixed and mostly statistically insignificant associations. Higher-resolution studies should provide more definitive insight into this question, but the association of specific business types to crime is an open question. When it comes to the quantitative analysis of urban vibrancy, this is just the tip of the iceberg. The Penn/Stantec team noted that vibrancy appears to be an elusive and complex concept worthy of higher-resolution investigation that could also incorporate data from other urban centers. As the power of analytics is realized and applied in the realm of urban planning, it may beckon a revolution of evidence-based city design. Jonathan Wood is a joint MD-MBA candidate at Penn with aspirations to work at the intersection of primary care and community development. He attended Yale as an undergraduate before serving seven years as an Air Force officer. He is a 21st Century Scholar at Penn Med and a Pat Tillman Military Scholar.